We recently released our first game, Blockade. 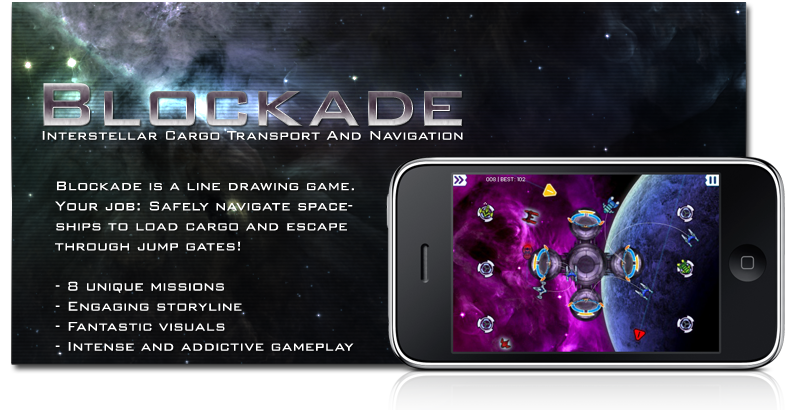 Download the press package for Blockade, including screen shots, artwork and press release. We are two guys making games and apps for iOS and Android. Also web. The plan? To make great games. In the mean time, we do all kinds of work. Great games that will rock your world. More games are in the works, stay tuned!